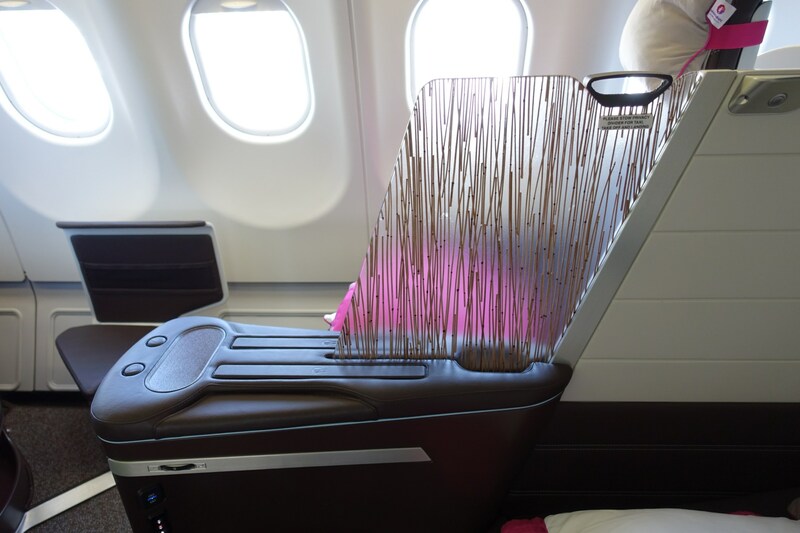 HONOLULU – Hawaiian Airlines today announced plans to introduce new luxury design elements and enhanced service options in its A330 premium cabins, including the addition of 180-degree lie-flat seats. 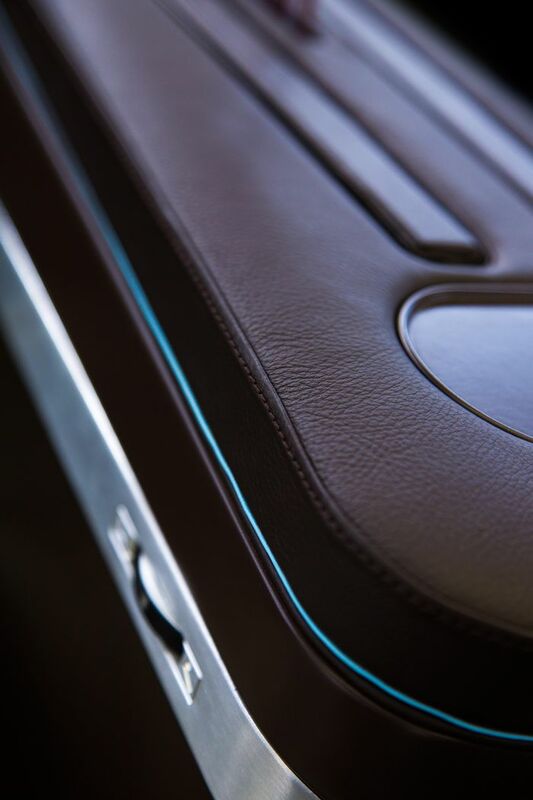 The premier global carrier for leisure travel to Hawai’i has developed its new seats in partnership with Optimares, an Italian manufacturer focused on traveler-centric design. The 180-degree seats will use an innovative seat platform to fold into 76-inch beds, maximizing living space for travelers while providing options for both privacy and a shared flight experience. They will also feature an advanced in-flight entertainment experience powered by the next generation of large-format tablets and equipped with a telescoping tablet arm that adjusts to optimize viewing angle and comfort. Hawaiian worked with West Coast-based brand and design consultancy PaulWylde to translate the airline’s signature design language, rooted in the natural colors and forms of the island landscape, into the cabin experience. The cabin design will incorporate flowing curves evocative of the winds and ocean, while marrying organic textures, pops of bright saturated color, and luxury materials like leather from Poltrona Frau. Hawaiian, PaulWylde and Optimares collaborated intensively to ensure the seat and cabins are uniquely tailored to the needs of the Hawaii traveler. The seats will be installed in a 2-2-2 configuration ideally suited for couples and families traveling to the beautiful Hawaiian Islands. The first newly outfitted aircraft is expected to enter Hawaiian’s long-haul network in the second quarter of 2016. The airline will begin installing lie-flat seats in the remaining 22 A330 aircraft in September of 2016 through 2017. As part of the cabin redesign, Hawaiian also announced it will add 28 additional Extra Comfort seats on each A330 aircraft in response to growing demand for its popular premium economy service. The Extra Comfort option features 36 inches of seat pitch; priority boarding at the gate; complimentary on-demand in-seat entertainment; and a personal power outlet. Today, Hawaiian’s wide-body, twin-aisle Airbus 330-200 aircraft seat 294 passengers, with 18 in Business/First Class, 40 in Extra Comfort and 236 in the Main Cabin. In the new configuration, the aircraft will seat 278 passengers, with 18 in Business/First Class, 68 in Extra Comfort and 192 in the Main Cabin. Seat pitch in the Main Cabin will remain a roomy 31 inches. Hawaiian operates its A330 aircraft on the majority of its North American and international routes. Amenities include personal on-demand entertainment system, comfortable legroom, and a roomy interior. Adding to the enjoyment of the travel experience is the carrier’s signature onboard hospitality program, Mea Ho‘okipa (translation: I am host). Travelers are treated to island-inspired complimentary meals and made-in-Hawai‘i snacks to go along with the airline’s engaging presentation of the islands’ culture, people and Aloha Spirit throughout the flight.